The fast, hygienic and energy efficient hand drying system. 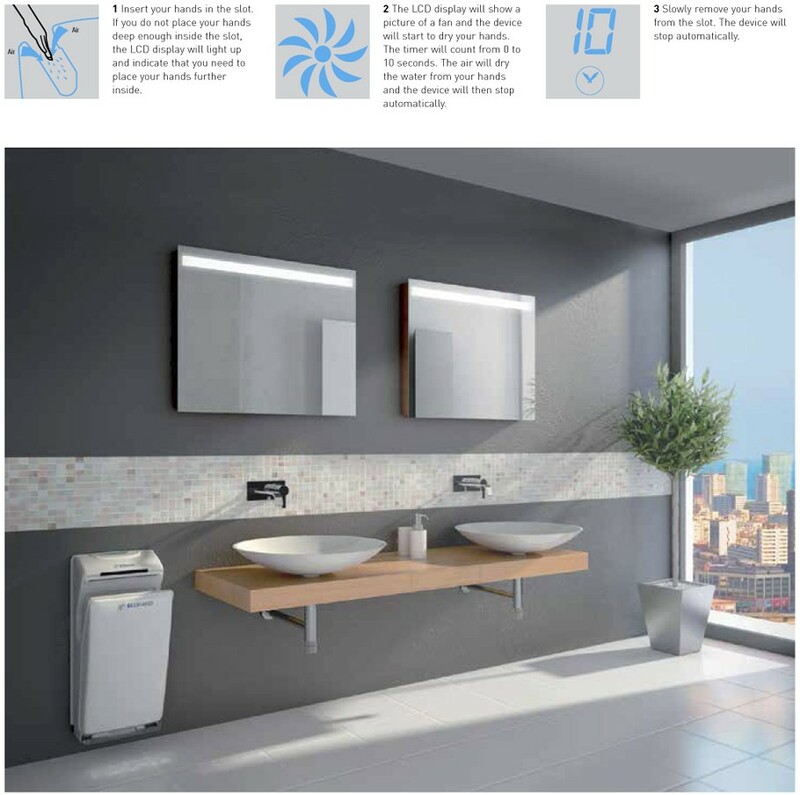 The Ecohand hand dryer uses a powerful, high-speed layer of clean air to eliminate every drop of water from the hands, leaving the dry in just 10 seconds. The innovative design prevents water droplets from falling to the ground, guaranteeing higher standards of hygiene. Fast. Dries in just 10 seconds. Automatic operation. 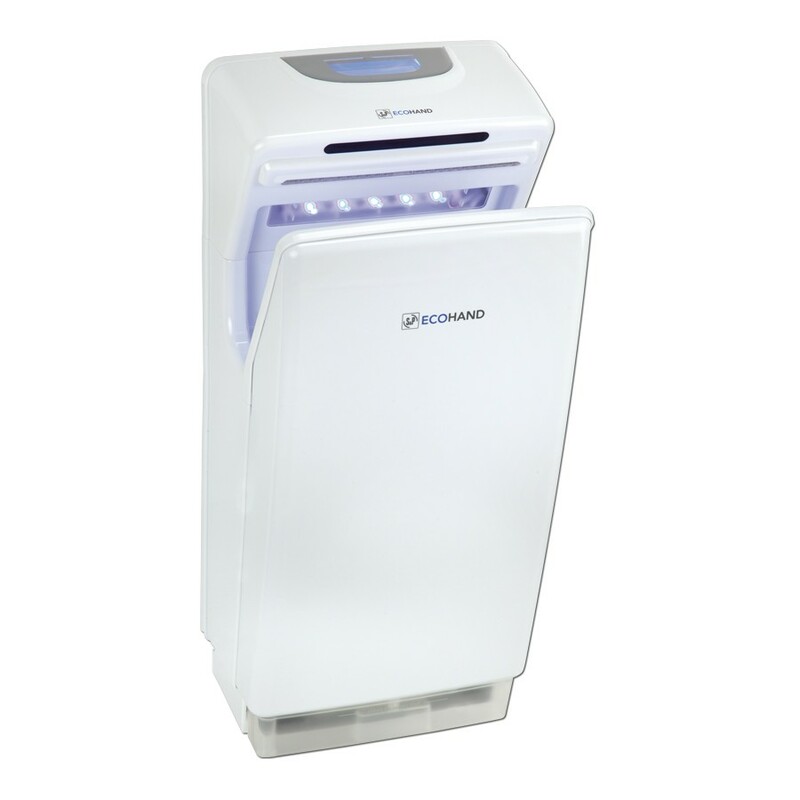 Controlled by an intelligent infrared sensor that automatically turns the unit on and off. Easy to clean and maintain. Easy acces to water collection tray.